Raise your hand if you've opened a report in Excel before that contained leading zeros only to find them disappear. Everyone? Yup, that matches our experience as well. Good news! Through some trickery, we've taught Excel to open our reports and treat certain columns as text instead of numbers. Leading zeros from vehicle numbers, transponders and zip codes will no longer appear on the back of milk cartons. 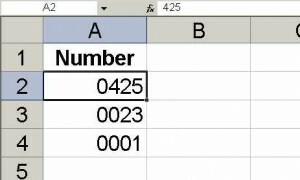 While the zero dropping is an Excel issue, this new method embeds a hint in the XLS file saying, "Hey, don't do that!" The trick is to use cascading style sheets (CSS) to let Excel know how you want a particular column in a table (spreadsheet) formatted. We picked up those tips from Niall's Blog. This improvement eliminates several steps of exporting and opening CSV files and explicitly identifying columns as text. Enjoy doing less - that's that we're after when we make organizing events easier and more fun.